20 years on & a “spoiled” generation? 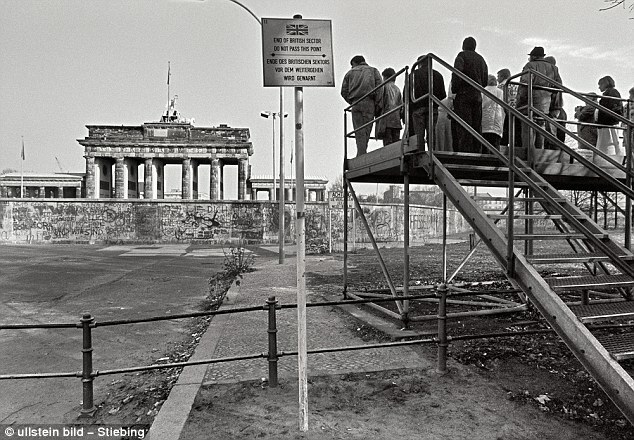 On the night of November 9, 1989, the night the Berlin Wall fell, some 80 babies were born in Berlin alone. That year, when two halves of Germany became one again, more than 880,000 children were born. They have come to be known as Generation 1989. This year, the children born in the shadows of the Wall will turn 20. Most will have just graduated from college and will be starting to find their own paths in life – one that will have no first-hand experience of what it was like to live in a divided Germany. That sets them apart from previous generations of Germans, whose lives were defined by the epic events that shaped more than four decades of Germany’s – and much of the Western world’s – history: the rise of communism, the Cold War, and a period of hardship. A look at some German blogs and news reports suggests that some of today’s twentysomethings are tuning all that out. “As far as I’m concerned there’s no longer any division between East and West. I have many opportunities in the reunited Germany,” Tina Oerlecke from Haldensleben (Saxony-Anhalt) and born in June 1989 told young-germany.de. It’s a generation of children that have been “spoiled”, author Jean-Christophe Bas told cafebable.de. His book “L’Europe à la carte menu” is dedicated to his children who are 15 and 16. “Diese Generation hat nur eine sehr vage Vorstellung davon, was die Grundlage beim Aufbau Europas nach dem Krieg war: Frieden und Versöhnung… Die heutige Generation betrachtet den Frieden als etwas Normales, eine Selbstverständlichkeit,” he tells the website. Still, some of the old ways have inevitably seeped into Generation 1989. In an article by Faz.net filed in 2007, 20-year-old aspiring filmmaker Christian Smoljanicki said the concept of “Besserwessi” still lingers. The term, which is a pun on “Besser Wessi” or “better westerner” and better translated as “know-it-all”, was used by East Germans when they felt that West Germans didn’t give them the due respect and felt they were being assimilated instead of being united. 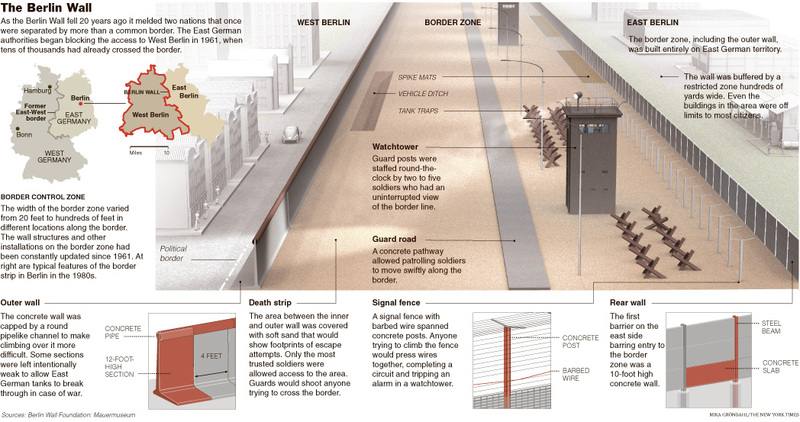 While most Berliners were initially eager to tear down the city’s most detested symbol, in recent months there has been a major effort to restore the 3/4 mile-long (1.3-kilometer) dilapidated East Side Gallery – the last long section of the wall still standing in its original place, now a major tourist attraction with 106 different paintings and graffiti. It’s a way 69-year-old artist Gerhard Kriedner and some other 90 mural painters hope will remind today’s youths of the nation’s past. “We thought it was really important to recreate the paintings because, by now, there’s a whole new generation that no longer remembers the original Berlin Wall and the historic events that led to Germany’s reunification,” Alavi told The Associated Press. The Iranian-born artist, who escaped from communist East Germany to the West himself as a young man, had already restored his own mural of East Germans crossing Checkpoint Charlie into West Berlin on the night the border opened for the first time. It’s no surprise why German children these days don’t care much. Germany’s high school history curriculum allows little time to discuss East Germany, reports Deutsche Welle. Some teachers say they just never get to the GDR, because their students need more time to digest all of the heavy history before it. Other teachers and parents simply don’t want to relive their past. 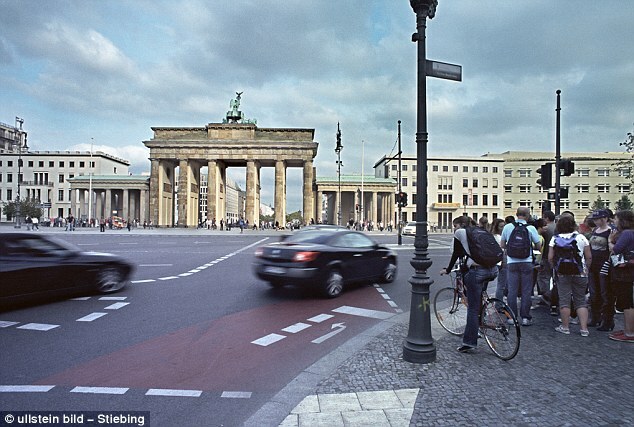 This week, the only wall youths of Germany seem to be concerned about is a 61/2-foot high one in front of the Brandenburg Gate organizers of a free U2 concert erected. The Irish rockers returned to Berlin for a free mini-concert on Thursday playing their classic singles and a duet with Jay-Z even as the show was obscured from public view by the metal barrier. Do the youths of today seem to ignore history? Are we really a “spoiled” generation? Which part of your history resonates with you most? This entry was posted in Culture, German and tagged die Mauer, East Side Gallery, education, iron curtain, murals, reunification, U2, youths.